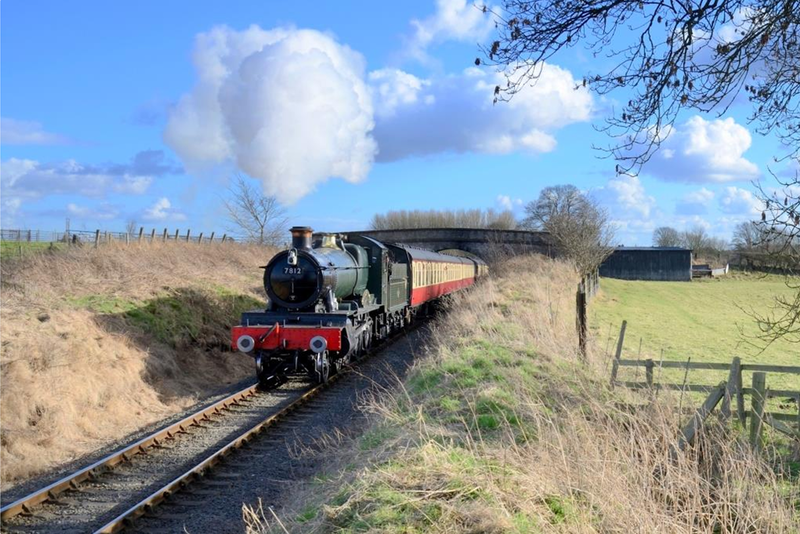 Now that you’ve digested the first lot of locos that will be present (click here for more), here’s the rest and also what else will be happening. 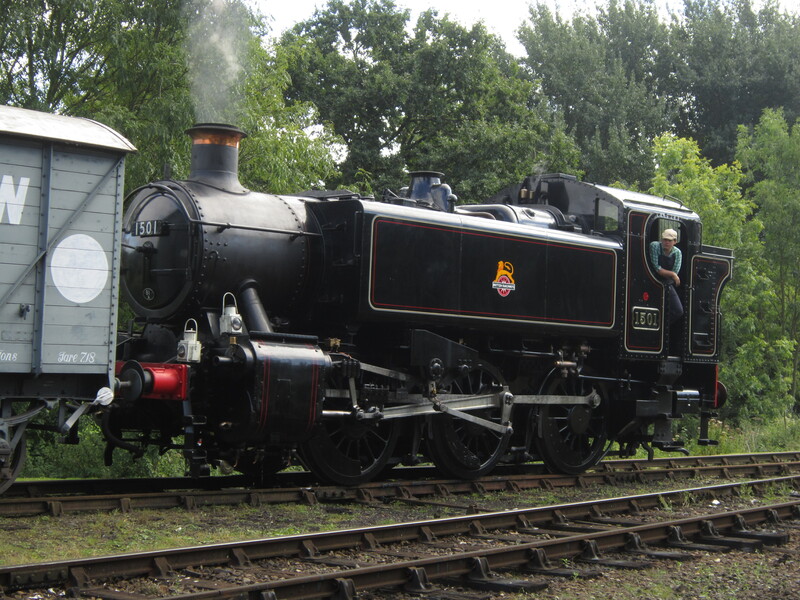 This is Ex-GWR prairie 4566, newly painted in BR Black (whtever floats your boat…) will be operating the majority of local services. 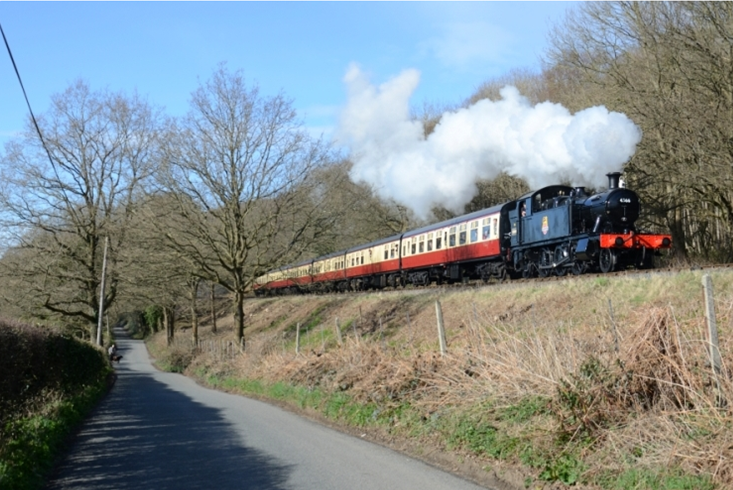 Normally this loco pulls the dining trains and is limited to six coaches to extend her working life meaning she doesn’t get an outing very often. So with the locals she will get to put some good mileage in. I suppose I sort of lied when I said that was all the guest locos done, although Caprotti STD 5 73129 has been a guest on the SVR all summer from the Midland Railway at Butterley. Slightly different to a black five or other STD 5 is it’s valve gear. No don’t ask my how it’s different, I only know about the pretty colours and sounds 🙂 But sifficed to say, it is certainly a loco not to be missd, those who’ve experiencd it over the summer say it sounds great in the Valley. Here passing some of Bewdley’s impressive signalling (a complete mystery to me, I think the signalmen like to imagine that Bewdley is still a junction station!) is home stalwart 2857. Identical to a more familiar 2807 from the GWSR, 2857 will be doing what it was designed for 100 years ago; clanking up and down with the freight train. The spare locomotive on duty will be as usual the unsung hero that is 1501. Quite how she’s supposed to cover for one of the larger locos hauling in all probability at least at coaches I’ve no idea, probably with an awful lot of noise! I’ve written about 1501 before as she got her turn in the limelight at the GWSR’s gala this year. you can read about it here. Next up is the maroon set of MK 1s or set M. Excellently finished, although not particularly unique, an important part of the portrayal of branch lines of yesteryear. This set usually comprises of 8 coaches, although could vary depending on whether they add more for demand, or take some off for the local trains. The other MK 1 set is the Carmine and Cream or “blood ‘n’ Custard” set, set C. Again, although not particularly exciting beautifully finished and another important part of the heritage scene, for the more “mainline” (still at 25mph of course) runs. similar numbers to the maroon set. 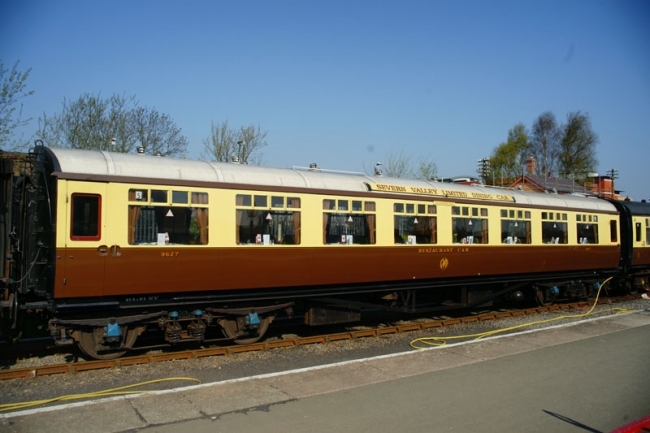 Set S is the Severn Valley Limited Dining rake of 1930’s GWR coaches. I think, being a GWR fan, this is my favourite rake as it is so well presented for the dining trains it is always looking great. From what I can make out this set is operating Saturday evening with a restaurant service, although not being proactive enough to pre-order a WTT, it could be doing walk on breakfast services too. 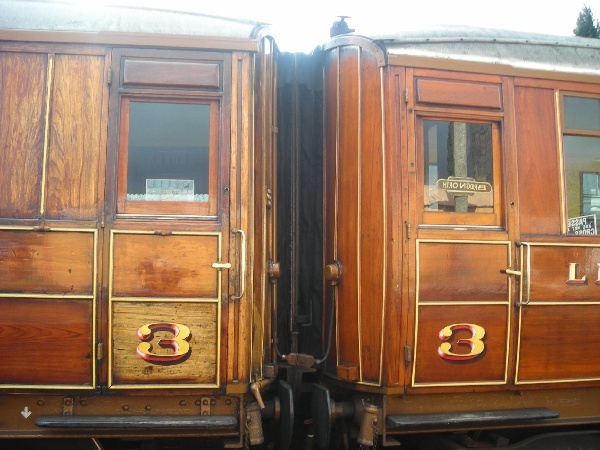 As you can see, I’m really scratching around for pictues now, VV are Venturer dining coaches. Nope, no idea what they’ll be doing, maybe the breakfast service? 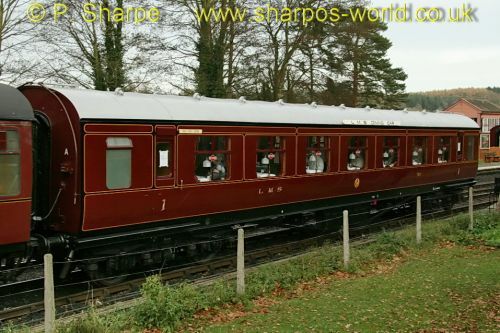 Anyway, being another of the SVR’s coaches that brings in the highest revenue, they will also be the most finely finished. Finally in the several rakes of coaches is the non dining GWR set, set GW2. This rake is not often seen for a variety of reasons, mostly it’s doors not being of the slamlock variety make guarding it a whole lot more difficult. Even during the gala it will according to those with a WTT be a rarity, so look out for it! 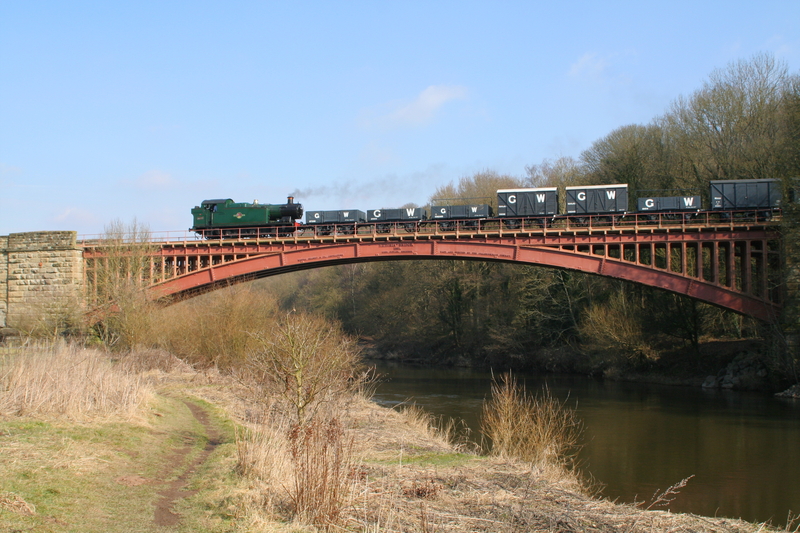 In addition to this the SVR’s goods train will be trundling up and down the line, often hauled by appropriate freight locos. I apologise for any wrong information there, it got quite difficult towards the end for the coaching section! There are a few final things to add about the gala. 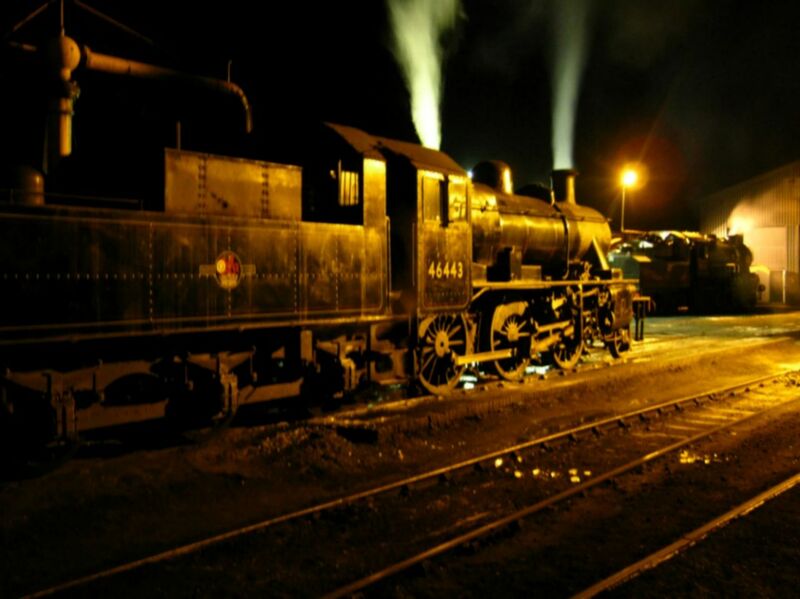 probably the most famous aspect of the SVR ASG is their continuous running all through the night. 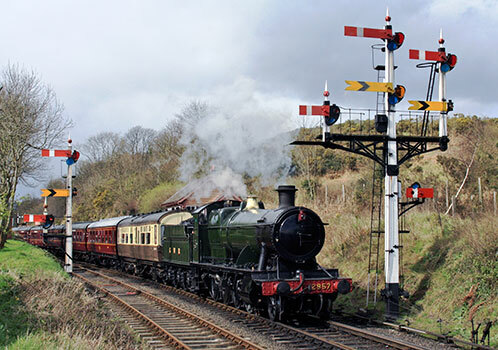 this is a rare oppurtunity to experience a heritage railway duing the night, and something I’d love to do, although we’ll have to see whether I can last that long! These conditions can create amazing photographs, like the one above. Apart from that, as I said my second highlight of these galas are the local trains occupying spare paths on only sections of the line at a time. 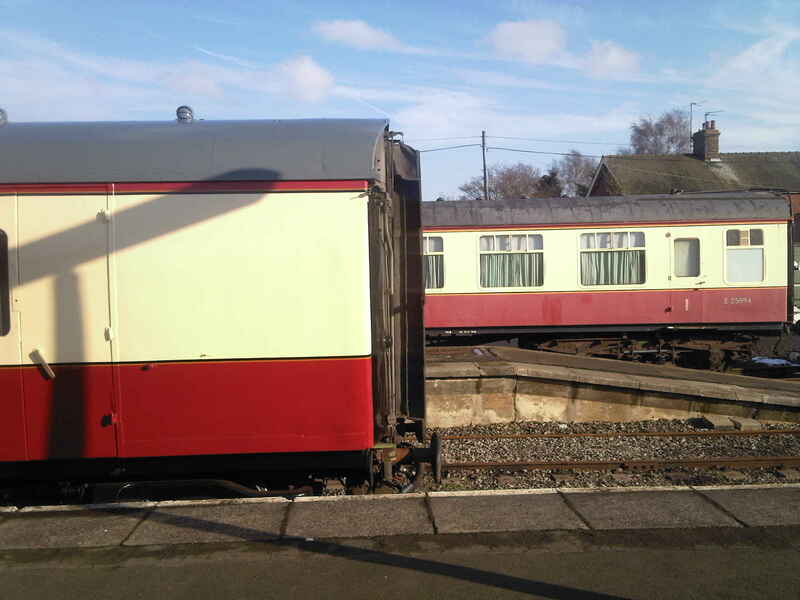 these are usually a couple of coaches and often autotrains, this year operated by 1450 as shown in the previous post. These train are always great to ride on, they give a great all round view of the line, like diesel railcars but much better. 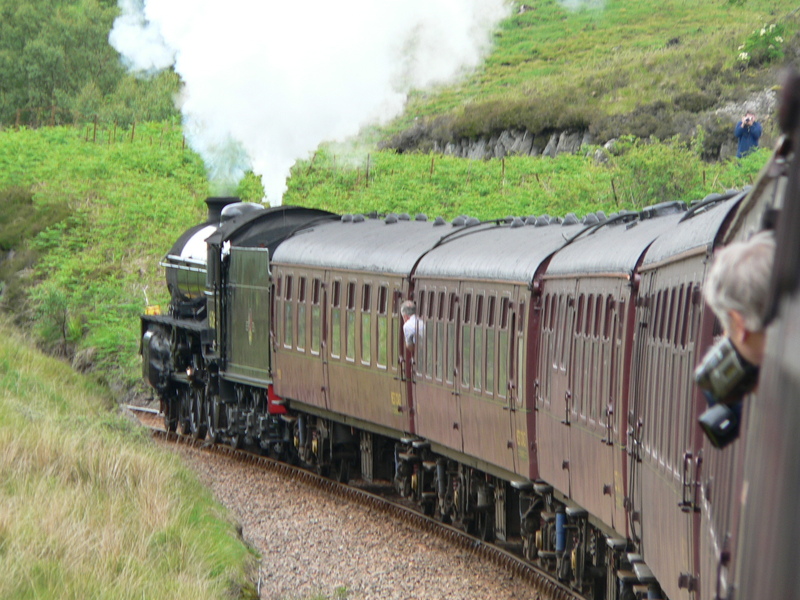 Then there’s the freight train which consistent to other lines only usually comes out for galas and charters, a walk on Breakfast service which is very tasty indeed (especially, so I’ve heard, If you’ve spent the previous night on the trains half asleep!) and all the various trade and society stands at the different stations, and the Engine house at Highley, the SVR’s graveyard of locomotives only cosmetically restored, but a very nice attraction with a cafe etc. Well, I think that’s it from me on this until after the event, I’ve said everything there is to say, the full leaflet can be downloaded here, hope everyone who goes enjoy’s themselves! 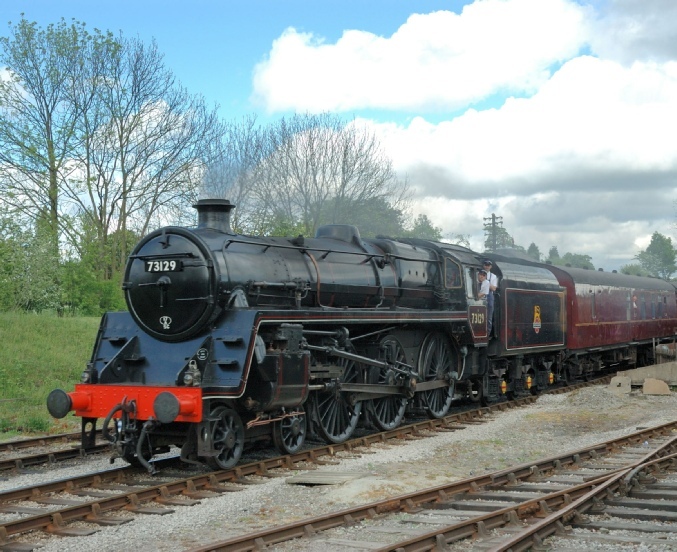 17/09/2014 in Severn Valley Railway.